Rangers manager Mark Warburton has argued that young players need better preparation to enable them to bridge the “enormous” gulf to first-team level. Scotland’s Development League system is under review, with a Scottish Football Association working group proposing a more mixed second-team set-up where under-20s players have to play alongside more experienced players. But Warburton has backed the idea of entering a Rangers colts team into the Scottish Professional Football League. 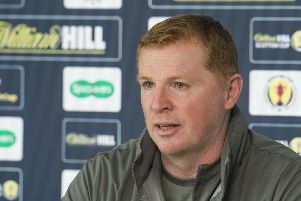 He told Rangers TV: “I look at the games at under-20 level, and there is the same problem down south. I don’t think those challenges are preparing the players for the transition to the first team, and the gulf from there to first-team level, I think, is enormous. “We want to help those young players make that transition, and we don’t do it with that level of match. We have to offer them different types of challenges and different experiences to take them out of their comfort zone and prepare them. “If it’s a colt route, then you’re playing games that really matter, games where the guy you are playing against needs to win to pay his mortgage and that type of situation. If we can link that to European-type challenges, then that is really important for us to give these boys that variety they need. “They are trying to make Rangers’ first team - that’s why we have an academy. We have it to produce players who are good enough and are armed with the attributes to impact our first team, and have no doubts nothing gives us more pleasure than bringing through young players.